A brief State of the Atmosphere today to get you set for the rest of the week. Yesterday’s perigee full moon, or supermoon, will likely be chalked down as a ‘bust’ by most Denver area residents. The clouds just didn’t clear in time for a good view as the moon came above the horizon keeping it out of sight for most spectators. Despite some insisting the moon was just late, not obscured, the latter was indeed the case. 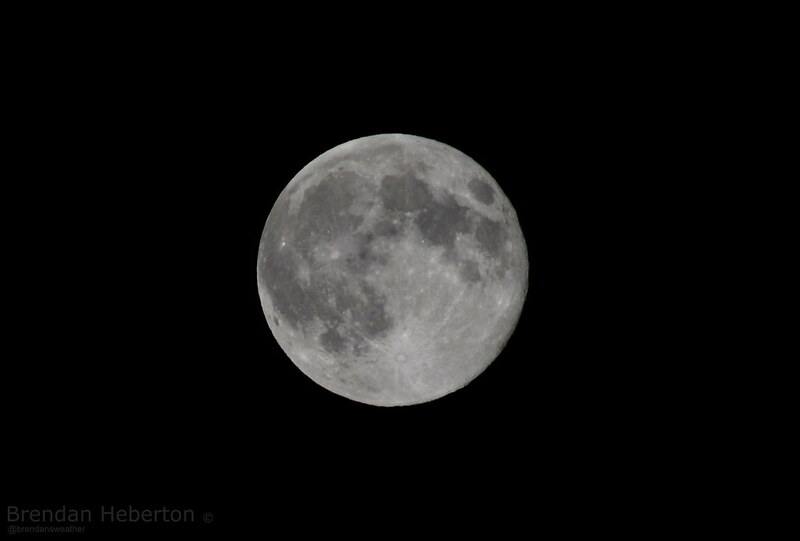 Eventually the clouds did clear, however, and we did see the bright full moon high in the sky. There were many, very cool, images of the moon last night. Thanks for those! The week ahead in many respects looks a lot like last week. Storm chances will come and go depending on the day, and afternoon highs will mostly stick in the 80s for the Denver area, with a few afternoon highs in the 90s possible as well. 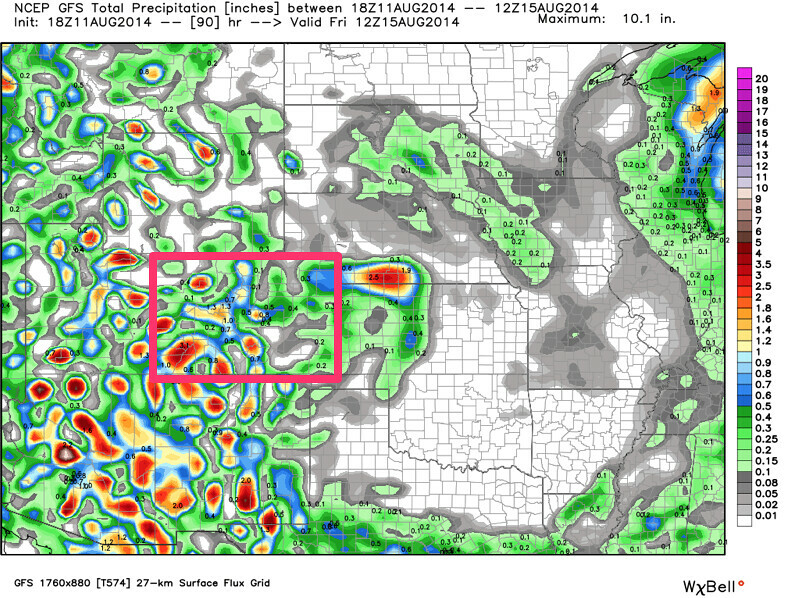 It appears the best chance for storms in the Denver area will hold off until the middle to later part of this week. We’ve only seen a few storms across extreme northeast Colorado this afternoon, and a few widely scattered showers in the foothills west of I-25. Expecting more of the same for Tuesday as precipitable water values will stay below 1 inch across the Front Range urban corridor. The NAM shows PW values increasing by Wednesday, with values >1 inch across northeast Colorado and the Front Range for Thursday. Both the GFS and EURO continue to have the greatest QPF Thursday afternoon and evening, which seems plausible. Coverage across lower elevations in the east, however, remains more scattered. The best chance for daily storms this will will be in the mountains. QPF bullseye appears to be over the southern, and southwestern part of the state through the next 5 days, with more scattered coverage for the plains. WPC also has greatest potential for heavy precipitation totals over the southwestern corner of the state. Here’s the 18z GFS precipitation forecast through Friday. As for temperatures… expecting most locations see mid to upper 80s for highs across the metro area through the week. GFS MOS guidance has Denver in the low to mid 90s through the weekend, but this feels overdone. Best chance for Denver to see 90 degrees or even low 90s I expect would be Tuesday, then again possibly by the weekend.